For this podcast, practice makes perfect! It’s very similar to a previous podcast I did 10 years ago called “Soundcheck” (which makes for a great companion to this edition of brain damage) anyway… this time, its a complete 1994 soundcheck! When I was going through stuff, I was surprised that I never featured this entire rehearsal before. I’ve only played a few bits and pieces. So… why not. All doctored up for your ears! A rare glimpse into very laid back Pink Floyd rehearsal. Here’s the playlist. 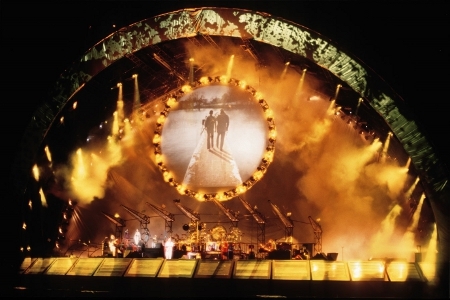 This entry was posted in 1994 Division Bell Tour, Rehearsal / Soundcheck, Soundboard by Doc. Bookmark the permalink. You nailed it, again !! I’ve been listening for years and “Soundcheck” has always been one of my favorite podcasts of yours. This is a incredible companion to that. I had some extra money sitting in my PayPal account so I donated to the wonderful work you do here. Thanks Doc. Fun idea for a podcast! Thanks. Thank you Matt. I can’t wait to hear it. You are the man!!!!!! !